Langara College hosted a presentation by Greg Girard on October 14, 2011. It was fascinating to see the work of four decades of his photography and hear the stories behind the images. 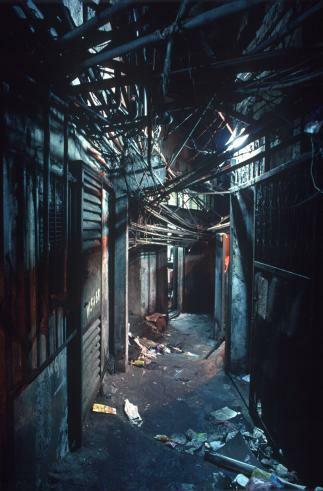 Greg Girard is a Vancouver-born photographer who moved to Hong Kong in the 1982 to work for the BBC News. Prior to moving to Hong Kong, he spent his early years in Vancouver and recently published a book of his work from 1973-1986, titled In the Near Distance (2010). In 1987, he left the BBC and became a freelance photographer. He moved to Shanghai in 1998 to cover China for news magazines. Girard has photographed on assignment for National Geographic, and his work is shown in galleries in Toronto, Vancouver and Berlin. The presentation covered his early work in Vancouver, Tokyo and Hong Kong, his coverage of the civil war in Sri Lanka, as well as fascinating stories from China, Japan, Korea, and Vietnam. A couple of the highlights for me were the Phantom Shanghai and Kowloon Walled City projects. Each project took about five years to complete. The photographs were taken in his spare time between assignments for magazines - true passion projects! 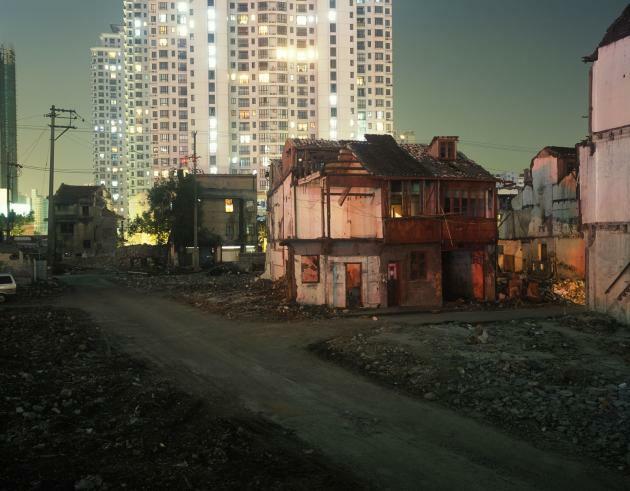 While he lived in Shanghai, he photographed the rapid modernization of the city. Shanghai had many old European-style buildings from the colonial era, and in the 1920's was the financial and cultural capital of China - known as the Pearl of the East. However, after the war and the revolution in 1949, the old building were taken over and converted to public housing and government buildings. After the cultural revolution, the city started to become modernized and the old districts were demolished to make room for development projects. 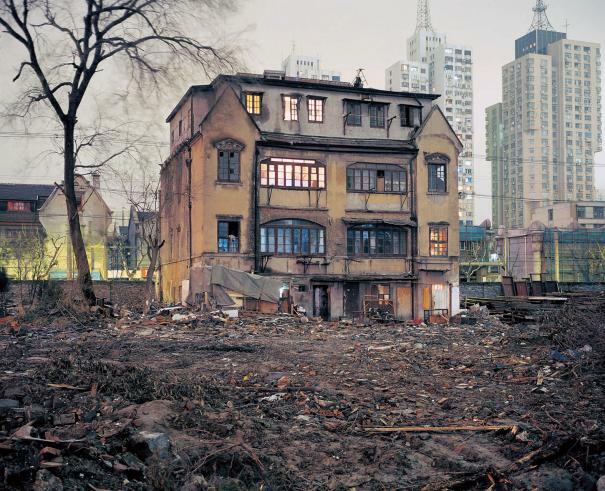 Girard's book Phantom Shanghai (2007) documents this massive change over a 5 year period. His work shows the wear, decay and textures of the old buildings juxtaposed against modern architecture. Many of the photographs were shot at night and capture the lights and colours of the neon signs and city lights. Most of the old buildings are now gone, but are still preserved in the photographs. 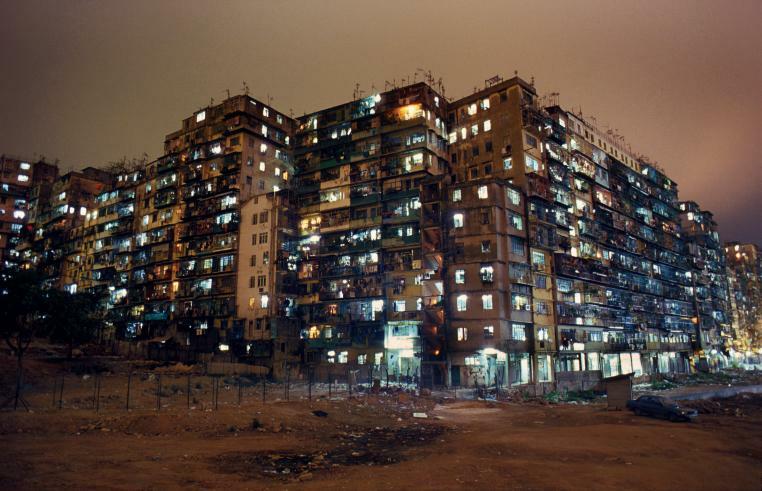 Another amazing project that Girard worked on was City of Darkness; Life in Kowloon Walled City (1993), which documents the incredible densely populated autonomous section of Hong Kong. For a few decades, the Walled City was dominated by triads which controlled prostitution, gambling and drugs. The Walled City was demolished in 1993-1994. There are many more images from these projects, and four others, on Greg Girard's website to check out if you want to see more.